Many parents are looking for natural ways to treat ADHD in order to avoid medication or because medication isn’t working as well as they had hoped. 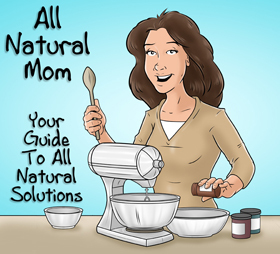 Below is a list of ways to treat ADHD naturally that have worked well for our family, and the order in which I would personally follow. 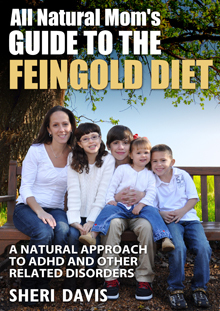 The Feingold Diet is known as an ADHD diet. 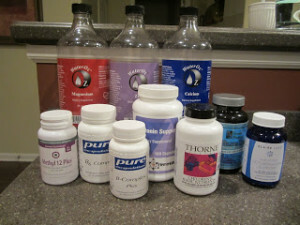 On this diet, you will avoid all food dyes, artificial flavors, and the preservatives BHA, BHT, and TBHQ. 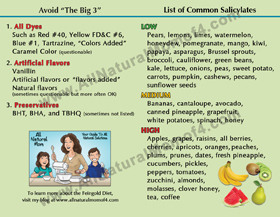 In stage one of the diet, you will also avoid foods high in salicylates for at least 6 to 8 weeks until you reach baseline, and then you can test them back in. For us, Feingold was a game-changer. 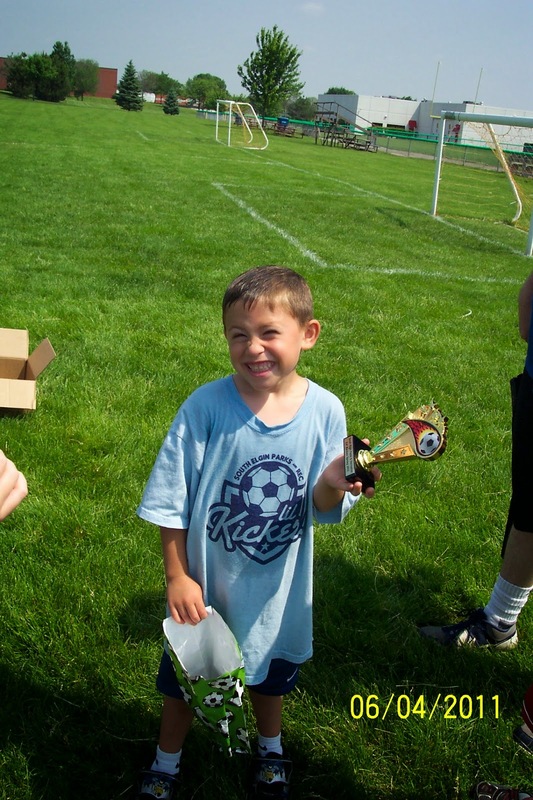 My then 4-year old son went from having “red flags for ADHD” per his preschool teacher to “no signs of ADHD” per his Kindergarten teacher the following year. 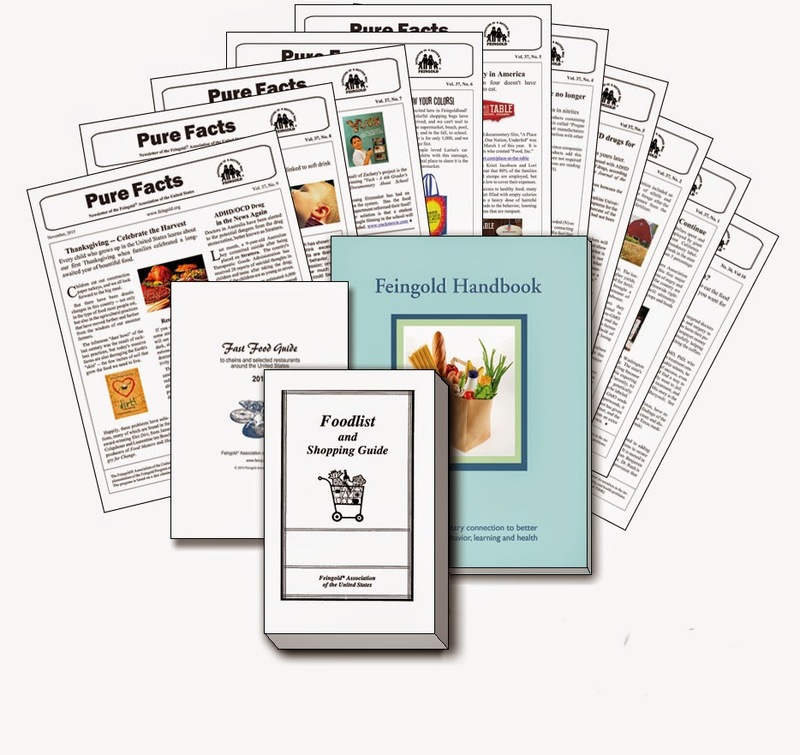 To read more about the diet, check out my post, “What Is the Feingold Diet?” For steps to get started on the Feingold Diet, check out my post, “6 Steps to Starting the Feingold Diet” and for an in-depth, behind the scenes look at the Feingold Diet and our experience with the diet, check out my book on Amazon, “All Natural Mom’s Guide to the Feingold Diet.” Some people have seen improvements by just avoiding dyes but I would recommend pulling artificial flavors and preservatives as well as they can be just as detrimental to a child’s behavior, health, and learning. 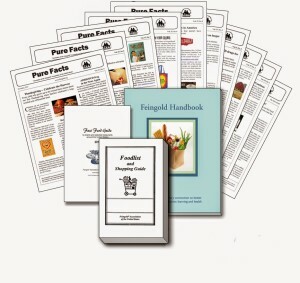 To get a glimpse of some of the foods we eat on the Feingold Diet, check out my Pinterest boards here or follow All Natural Mom on Facebook or Instagram. 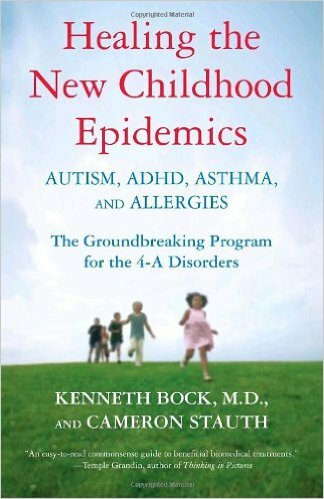 I believe close to 100% of kids with ADHD, autism, and many other learning and behavioral disorders have a problem with yeast overgrowth in the gut. What happens in the gut affects the brain which is why diet is so important but in my opinion, unless you do a strict Candida diet, you will not get yeast under control without certain supplements or the use of fermented foods. Some people think all they need to do is take probiotics to combat yeast but probiotics are just the bare minimum and not nearly enough to get yeast under control, especially if the problem is systemic. Everyone in our family takes probiotics daily but we also do a few other things, especially when we start to see signs of yeast. At our house, that would be a white tongue, tics (habitual coughing, sniffing, facial gestures, chewing on clothing, etc. ), extreme silliness or inappropriate laughing, emotional outbursts (crying, whining, weepy), red ring around the mouth, difficulty focusing, etc. All of these are classic signs of yeast for my kids. Some of these things can be caused by other things, but for us, when we treat for yeast, these behaviors and symptoms go away almost immediately. 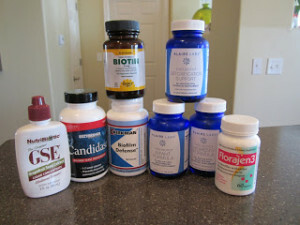 This one ties with supplements and treating for yeast in that it’s best to work with a holistic doctor in order to determine the best supplements to take and if you have the funds is extremely valuable. A urine and blood test can show which vitamins your child is most deficient in and if Candida or bacteria in the gut is a problem or not. We recently did a Nutreval test from Genova Diagnostics which will tell us many things that are going on in the body. We’ve also done the ONE (Optimal Nutrition Evaluation) through Genova in the past. Your holistic doctor can help you determine which test is right for your child. Another important test we did for my kids was testing their serotonin and dopamine levels (a separate blood test). These are characteristically low in kids with ADHD and people with depression. My holistic doctor told me my kids’ levels should be around 250 and my daughter’s was 52 and my son’s was 96. When we started supplementing with Serotonin Support/5HTP, their moods improved greatly and their serotonin levels came back up to normal levels when we tested again a year or two later. 5HTP should not be taken along with ADHD, anxiety, or sleep meds, as they are both selective serotonin reuptake inhibitors (SSRIs), meaning they both increase serotonin in the brain. 5HTP is a more natural/non-pharmaceutical way to increase serotonin. The first question I always hear is whether or not a regular pediatrician can order these tests or not. Well, in 10 years, I’ve never heard of one that has. So, you’ll need to find a naturopath, MAPS, DAN, or holistic doctor who can order the tests and knows how to interpret the results and help you with supplement recommendations. We see Dr. John Hicks in California but we do phone consults or Skype appointments. I highly recommend him. We have been seeing him for 8 years. An OATS test from Great Plains is also a good test which will test for yeast, bacteria, oxalates, and a few other things. Testing will provide you with personalized feedback and information you can use to tailor a plan to treat the underlying issues causing your child’s ADHD symptoms. Check with your insurance but ours covered the testing. Our holistic doctor’s fees were covered at 50% for out-of-network. If your holistic doctor is an MD, office visits may be more likely to be covered by insurance. Blue Cross is the best insurance for this purpose. 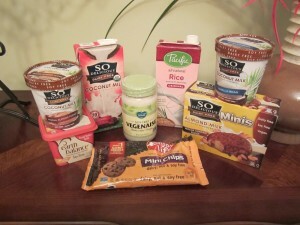 At the same time as my son, we started my daughter on a gluten and dairy free (GFCF) diet as well. We saw HUGE gains within 3 days. 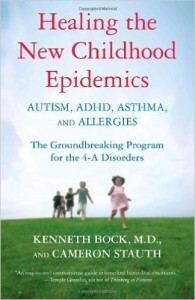 To read her story, check out my post, “Changes We Saw on GFCF.” For some kids, Feingold is enough and I always recommend starting there first, especially if you are only dealing with ADHD-type behaviors. 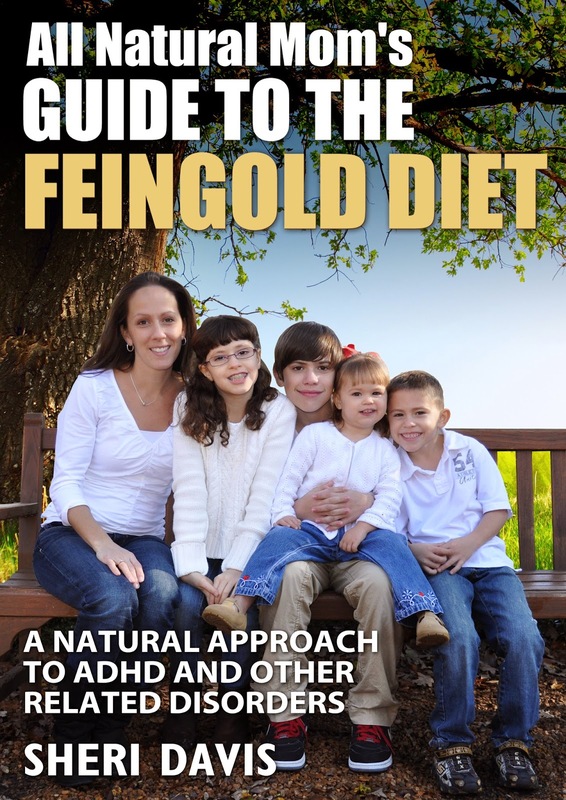 If you have tried Feingold and your child still seems to be having issues, or your child has issues beyond just ADHD such as symptoms of autism or other issues, I recommend trying a gluten and dairy free diet. Keep in mind that dairy leaves the body in about 3 days, but gluten can take up to six months, and that’s when avoiding gluten 100% during those 6 months. If your child has Leaky Gut Syndrome, eating foods with gluten and dairy can cause an opiate reaction (hyperactivity, silliness, acting drunk, etc.). Not getting these foods can then cause withdrawal symptoms causing them to have meltdowns and extreme moodiness. So if you’re going to attempt a gluten and dairy free diet, it’s best to do it 100% and not cheat. Since my son was having seizures from gluten and dairy, cheating was not an option and we saw gains immediately for everyone in our family, myself included. Gone went my migraines and headaches for the first time in 25 years! Everyone in our family continues to follow a GFCF diet, with the exception of my oldest who does Feingold only and limits dairy as it gives him headaches as well. For tips on starting a dairy free diet, check out my post, “How To Start a Dairy Free Diet.” I haven’t done a post on how to start a gluten free diet yet. Not everyone needs to go gluten and dairy free. 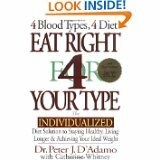 I’d recommend looking at the Blood Type Diet book to determine if gluten and dairy are compatible with your child’s blood type. We found this diet to be very accurate in how it predicted certain foods would affect each of us in our family. Myself and my two middle children are O blood type so we don’t do well with gluten and dairy. My oldest son is an A blood type and should avoid dairy but does OK with wheat, and that’s exactly what we found to be true based on symptoms. Many kids with ADHD are addicted to video games – my kids included! Limiting screen time can help improve ADHD symptoms. 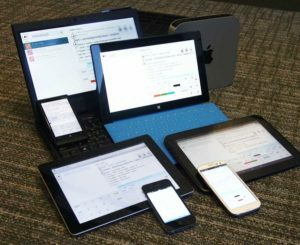 I think we’re going to see more and more studies come out in the coming years on the effects of Wifi, EMF’s and video games on our kids and on ADHD and autism specifically. I went to a few presentations on EMF exposure at AutismOne last year and it was really eye-opening. I’ll be writing a post on that soon but in the mean-time, a few easy things you can do to help reduce EMF exposure is to turn off your Wifi router at night, always completely shut down all iPads, iPhones, and computers at night and keep all electronic devices on the lower level, and not on the same floor as where you are sleeping. Never ever sleep with your phone near your head or in your room at night. If you’re letting your child play with your phone or iPad, turn it to airplane mode so that the Wifi is disabled. And don’t let your kids/teenagers carry their phones in their pockets. I’ll explain why later in a blog post. Too much to post here! Check out Dr. Victoria Dunckley’s book, “Reset Your Child’s Brain.” Dr. Dunckley will be speaking on this topic at the 2017 Treating ADHD Naturally Confererence in Colorado Springs on May 24th. Register here. 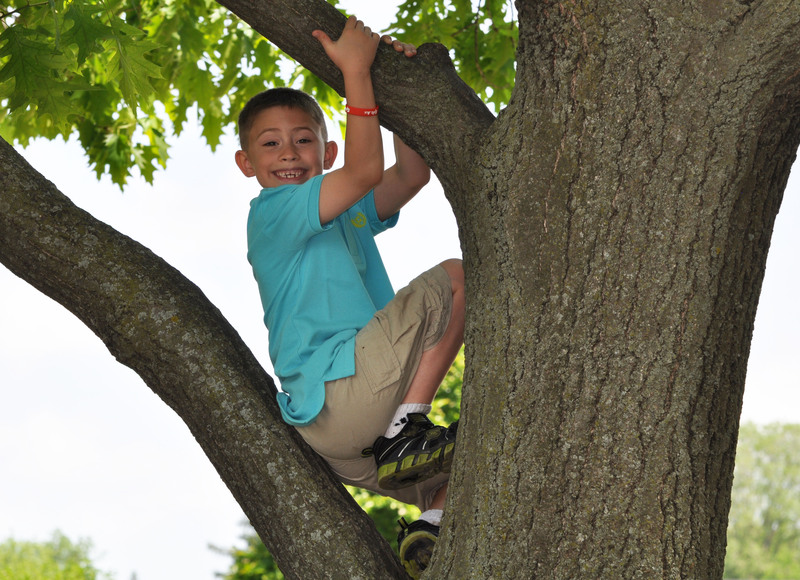 Getting kids outside and exercising can reduce symptoms of ADHD. I see this every summer.We live in the midwest, so in the winter, my kids don’t get out as much. In the summer, when my kids have been outside, running around, swimming, riding their bikes, or jumping on the trampoline, they are much less wound up and much less prone to fight with their siblings. They’re just too tired! 🙂 Wish we lived in Florida! Exercise also has a positive effect on the brain in many ways and increases serotonin levels, those “feel good” neurotransmitters. I don’t think kids’ bodies and minds were designed to sit at a desk all day with little physical activity. Before the institutionalizing of traditional schools, most kids were outside playing or helping their families on a farm, often engaging in tough physical labor. Kids naturally have a lot more energy than adults and I think they benefit from having more physical activity built in to their day whenever possible. Sunshine has the added benefit of vitamin D, another great supplement for almost everyone. Vitamin D deficiency can cause depression and mood disorders. Watch for this in the winter months, especially if you live in a colder climate. We supplement with Carlson vitamin D drops or Thorne vitamin K/D drops, as vitamin K is needed to help the body absorb calcium and magnesium in the proper places. While every child is different, these are the things that have helped my kids the most. To learn more about all these things in depth, register for the Treating ADHD Naturally Conference coming to Colorado Springs in May, 2017, being held in collaboration with AutismOne. To register for this event, go to www.mothersdetermined.com. My desire with this conference is to educate parents on the other options that are available to help kids with ADHD. Hope to see you there! 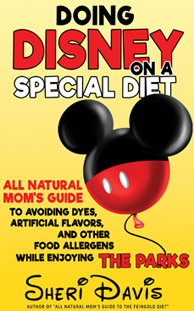 Posted in Biomed, Feingold Diet and tagged add, adhd, all natural mom, Allergy Testing, Biomed, candida, conference, dairy free, Dye-Free, Feingold Diet, feingold diet book, food coloring, food dyes, GFCF diet, gluten free, hyperactivity, salicylates, Sheri Davis, supplements, treating adhd naturally, yeast. Great list! One more treatment to recognize is Chiropractic. Something to consider: Nothing affects neurology and brain function more than spinal structure. Doctors of Chiropractic are the only doctors trained to remove the stress and irritation of the nervous system caused by vertebral subluxation. In children, this irritation to the nervous system (subluxation) can manifest into ADHD, SPD and ASD. Most DC’s have also had extensive training on nutrition, supplementation and detoxification to properly feed, nourish and heal the body-mind. I love your post! Keep up the good work! Thanks! True, chiropractic care has has helped some kids a lot. We’ve not personally done it. I actually saw you once years ago when we lived in Elburn! 🙂 Small world.